Travel-Tot: Products We Love: Piddle Pouch! How many times have you taken your son to the park or playground and within mere moments of arriving, had him mutter the dreaded phrase: "Mommy, I need to go potty!"? And how many times have you tracked down a restroom only to discover that it is filthy, occupied, or inaccessible? If you are like us, it's too many to count! That's why we are so excited to share a fantastic new product we recently learned of: the Piddle Pouch™! Developed by proud moms Lynn Gutner and Julie Rosenberg, Piddle Pouch is a portable, biodegradable, disposable, no mess, easy to use pee pee bag for young boys. Inspired one day at a playground in New York City, where both live, the Piddle Pouch was the culmination of brainstorming to find a solution to an ongoing challenge: how to alleviate the problem of their boys having to pee when there were no toilets around. This brilliant little pouch gives parents and caregivers an easy, discreet, germ-free solution when there is no potty available or close by. Perfect for everything from city parks/playgrounds/other venues, to parked cars, potty training, dirty restrooms, camping/hunting trips, boats, and even beaches. Best of all, if you order through the Piddle Pouch website, an 8-pack of Piddle Pouches is only $9.99 and if you hurry, they are offering free shipping through the end of February! 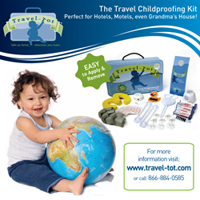 As avid fans of all things "family travel," we love this this company and their product! For more information on Piddle Pouch, LLC, check out their website, Facebook page, and Twitter feeds. 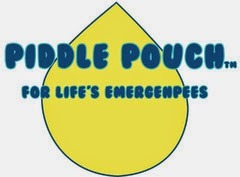 Piddle Pouch; for life's little emergenpees! Safe, happy, and stress-free travels!